The computer’s BIOS (Basic Input/Output System) is a system that is designed to allow the user to control how the computer boots up and functions. The BIOS operates outside of the computer’s operating system and runs via a built-in chip inside of the computer. The BIOS may seem complicated to some, but is a necessary computer component whenever something malfunctions. 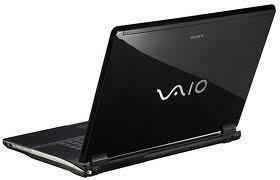 Users can access the BIOS on any Sony VAIO laptop by restarting the computer and holding down F2 while the computer boots up. Doing this will load the BIOS’s main screen and allow the user to change the computer’s basic settings. While the BIOS can be used to change how the computer functions once it is booted, it can also be used to check the status of the computer’s hardware and specify which device the computer should boot from. Users should be careful, however, as changing the BIOS’s settings can permanently affect how the computer operates. The BIOS includes many different menus that control how the computer behaves. These menus may include CMOS Settings, BIOS Features, Chipset Features, Power Management, PCI Configuration, BIOS Defaults, Performance Defaults, Integrated Peripherals, Supervisor Password, User Password, IDE HDD Auto Detection, Save & Exit Setup, and Exit Without Saving. Each of these menus displays a brief setting as the user scrolls over them. Using the arrow keys and keyboard shortcuts listed on the screen may give access to these menus. I can’t enter setup, and I can’t format and fdisk may computer. 140 queries in 0.268 seconds.